A lesser known JRPG horror game, Corpse Party has been one of the scariest games I’ve ever played (coming in right after PT). The story follows a group of students who are spirited away into another dimension and trapped in a haunted school filled with hate, agony, despair, and murder. 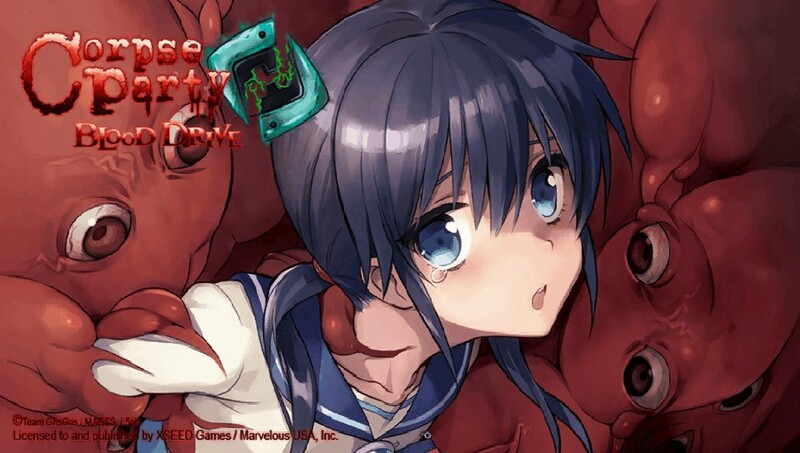 Corpse Party plays as a survival horror, action game mixed in with visual novel elements. You follow multiple characters as they try to survive. 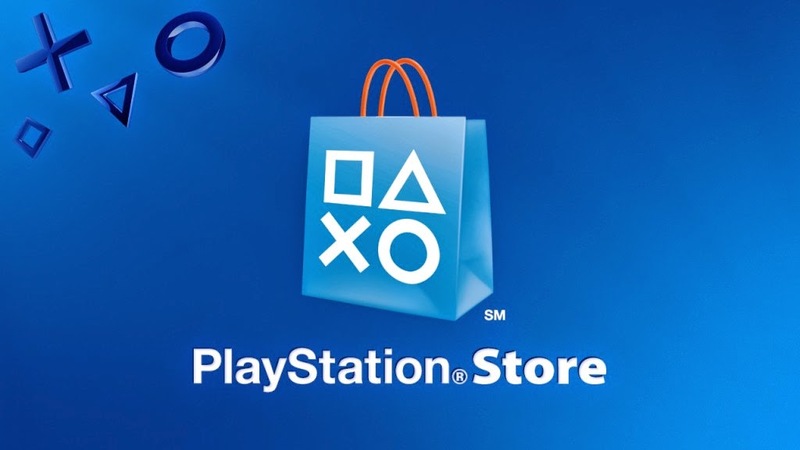 There are three installments to the Corpse Party series, Corpse Party: Blood Covered (PSP), Corpse Party: Book of Shadows (PSP), and Corpse Party: Blood Drive (PS Vita). Blood Drivetakes place a few weeks after the events of Book of Shadows where Ayumi and her friends believe they have destroyed Heavenly Host and Sachiko’s curse. 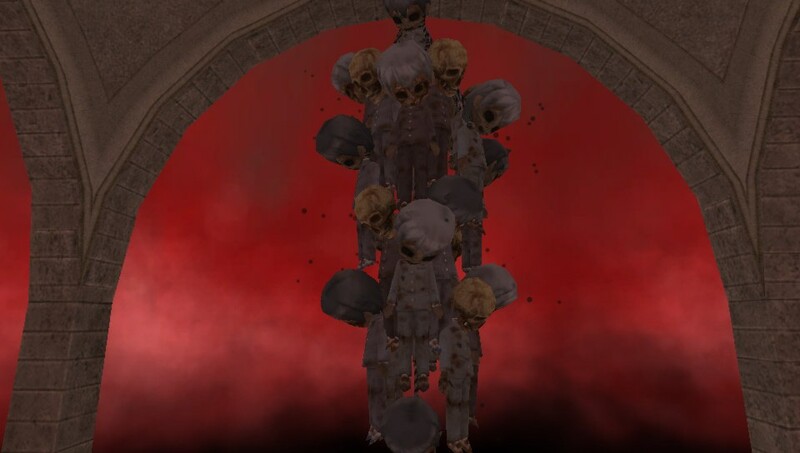 They discover that not only does Heavenly Host still exist, the curse of Heavenly Host is spreading into the real world and has become more malevolent than ever. Tricked into thinking the Book of Shadows can revive her dead friends, Ayumi goes back into Heavenly Host to retrieve the Book of Shadows and, once again, try to destroy Heavenly Host for good. I highly recommend playing Blood Coveredand Book of Shadows before playing Blood Drive, or, at least reading the story/watching a walk through beforehand. The events in Blood Driveconstantly refer to the events of Book of Shadows. This put me at a loss, because although I had played Book of Shadows, the version I played did not follow Ayumi and Naomi into Sachiko’s estate so references regarding Book of Shadows were lost on me. 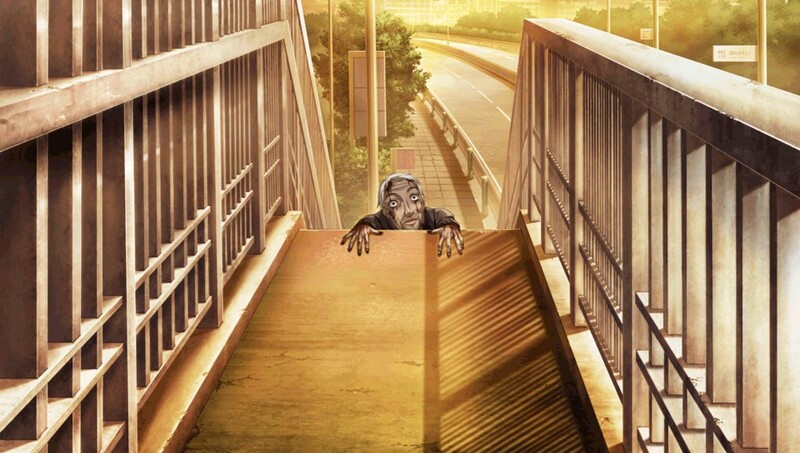 I felt like I missed a major piece of the Corpse Party story. I was surprised to see so many unique characters in Blood Drive. Most of the new characters seemed to possess supernatural powers which made them out of the ordinary. While the new characters give Corpse Party a new supernatural element, I think they are overdone. I enjoyed Blood Covered because these were ordinary people placed in an extraordinary circumstance which tested their limits. Characters with “special abilities” kind of felt like a cheat. Super powers tend to be a salvation. 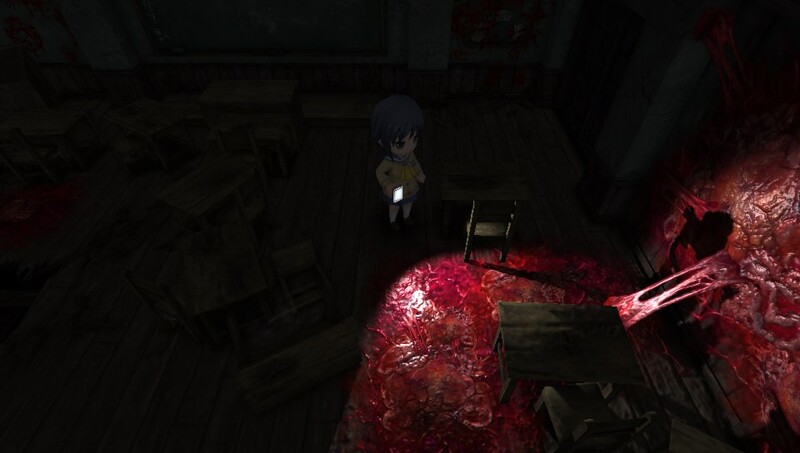 Corpse Party is a mixture of 3D top down game play, and visual novel. The top down game play is very similar to Blood Covered,however, at times the 3D made the camera feel awkward. Since you can’t control the camera certain walls block your view so you can’t really tell where you were walking or whether or not something was in front of your character. Sometimes, the game would also glitch and enemies would get stuck in certain areas (not that I’m complaining). Since I played Blood Covered, figuring out the map wasn’t too difficult, however, you are not given a map so you need to get a sense of the school on your own. Fortunately, the map isn’t so large that you’ll get lost. While the graphics aren’t super detailed, the game does a good job depicting the horror that occurs within the schools walls. Corpses, bloodstains, rickety floors, mysterious symbols, creepy audio, and excellent text description make the school a petrifying place to be. If you’re brave, I recommend putting on your headphones and playing in the dark. Groaning, creaking floors, breathing, frantic ghosts –you’ll be a much braver player than me! As a horror game, Blood Drive delivered well on the music. Background music often set the tone for the game, getting louder where needed and dead silent to build tension when necessary. The audio worked in some ways and failed in others. While creators attempted to create 3D audio, which puts voices far away when the characters are far away, and clear when the characters are close up, I felt that sometimes the “distant” character audio felt out of place, particularly in scenes when they are approaching another character. Gameplay felt very straightforward but does not hold your hand the entire way. You have no map. You pretty much wander around the school until you hit the right point for a cut scene or obtain the correct item. It is important to read the dialogue because that is the only way you’ll find clues to the next location or object you will need to obtain. Nothing is highlighted in bold for you. I often found myself walking around the darn school for nearly an hour, getting killed by ghosts multiple times, before realizing that I was simply walking the wrong way. This aspect was frustrating, but at the same time rewarding. I felt particularly thrilled that the final boss fight forced me to actually write down clues (on a piece of paper) and decipher when to use them. [Note: If anyone gets stuck on the final fight, I’m more than willing to give you a few hints!] There are many places in the game where you’ll think “How the hell do I get past this!” to figuring it out and thinking “Gee, it was really that easy?” Choices must also be made on the fly. Making the wrong decision can, of course, make another “Wrong End”. The school itself is also a complete danger zone. You can’t run haphazardly through the hallways because there are shards of glass your character can get hurt on or holes in the floor your character can fall through. Running is also limited. Running too much can cause your character to run out of breath and stop completely to catch it –which is terrible when you’re running away from something. The game doesn’t hold back on the horror either. Frequently, I found myself afraid to go into classrooms or walk down certain corridors because I knew there would be a ghost waiting for me. Often, I’d have to confront ghosts and discover whether or not they were good or bad, but first, I’d wander the school before even approaching them. Long story short, I spent a lot of time running through the school trying to shake off evil entities hot on my trail. Getting a “Wrong End” was also never pleasant. Writers did a wonderful job describing and depicting the torture your character would suffer at the hands of an unforgiving ghost. 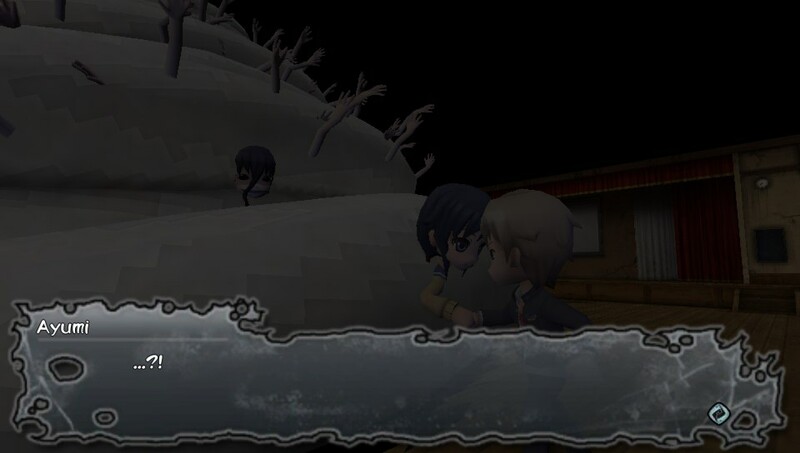 Not only that, but Corpse Party offered a lot of jump scares. Yes, they were cheesy, but when the face appears in the hole you are looking through (yah, duh, of course something would appear there) you can’t help feeling a shudder. Random faces appear in windows, and the loading screen –oh gosh the loading screen! Long story short, the fact that the game didn’t hold my hand the entire time, I was led to many “Wrong Ends” and “Game Over” screens. Over, and over, and over again, but I still enjoyed it. The game has so-so replay value. With each chapter you clear you unlock a Special Chapter, which is essentially side stories about characters that are not really touched on within the game. I like this extra feature because I get to meet characters from pervious games, however, when finished I’m not quite sure I’ll pick up the game again. Of course, as a completionist, I may pick it up to unlock all the trophies. 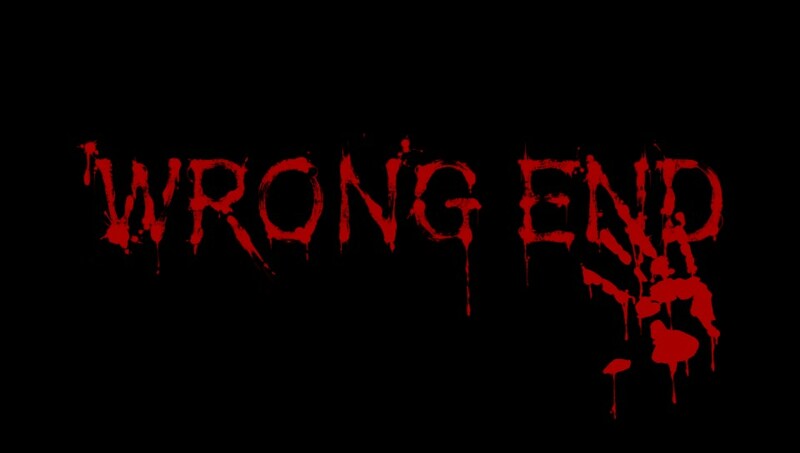 Despite not knowing the events of Book of Shadowsand the frustrating amount of “Wrong Ends” I got throughout the game, I had a lot of fun playing. I love how tutorials were kept to a minimum and how I had to figure a lot out for myself. Story wise, this wasn’t my favorite installment of Corpse Party. Again, the new characters detracted somewhat to the story and then the out of this world, catastrophic events just felt like too much. I love the basic scenario: What would happen if you got stuck in a haunted school? How would you survive? The camera was somewhat glitchy, but not enough to be overly distracting and the ghosts were pretty darn creepy! Loading screens were also pretty slow, and staring at the creepy ghost face while the chapter loaded felt somewhat unsettling (that darn ghost face!) As I said before: Play this game with headphones and in the dark—it’ll be sure to scare your pants off!